Screenlets, a widget framework for Linux, was updated to work with Ubuntu 16.04 recently, and new packages are available in its official PPA. The Screenlets package was removed from the official Ubuntu 16.04 (and newer) repositories because it no longer worked, however, Hrotkó Gábor fixed various issues that prevented the application and some of its widgets from working, and uploaded a new version to the official Screenlets PPA, for Ubuntu 16.04. While the PPA doesn't officially support it, you can also use it in Ubuntu 16.10. According to Hrotkó, he could not fix everything, so you will find bugs / screenlets that don't work, but most things should work now. 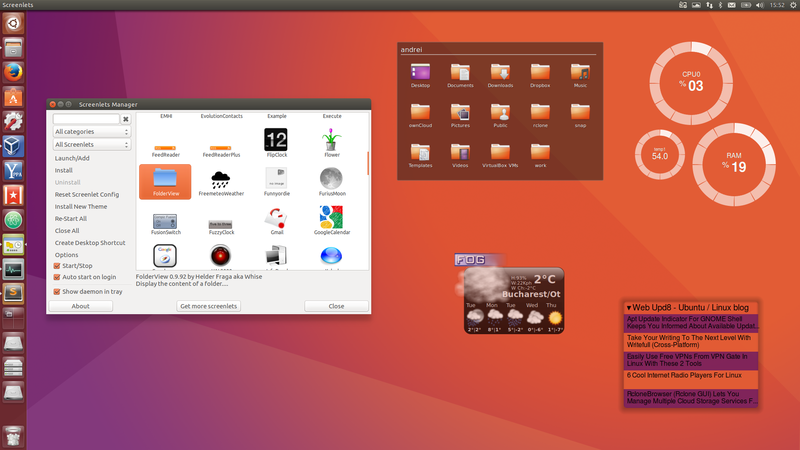 One issue is that the indicator icon doesn't show up in Ubuntu (with Unity). This does work on my computer, but it doesn't work on a fresh Ubuntu installation, and I couldn't yet figure out why. 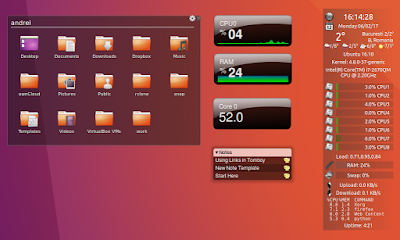 Screenlets is a framework that allows adding widgets to your desktop. The Screenlets PPA provides numerous screenles (desktop widgets), such as RSS readers, weather, clock, countdown, a Conky-like system information widget, folder view, calendars, sensors, and much more. 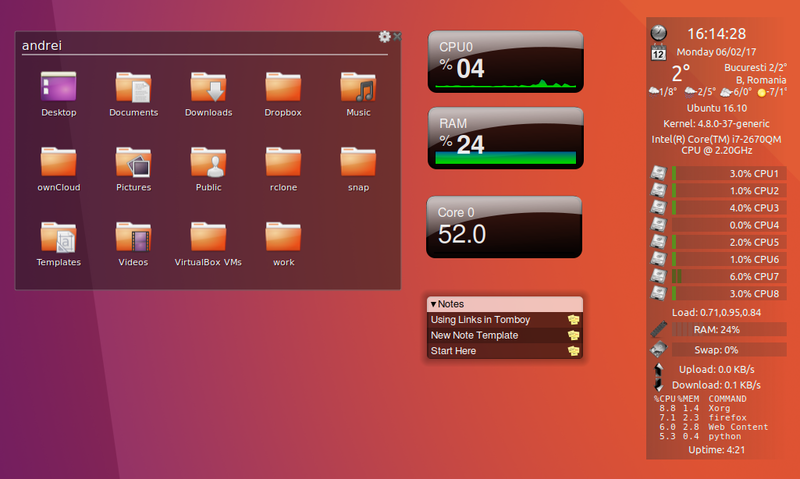 The application allows creating multiple screenlets (widgets) of the same type, each with its own individual settings. 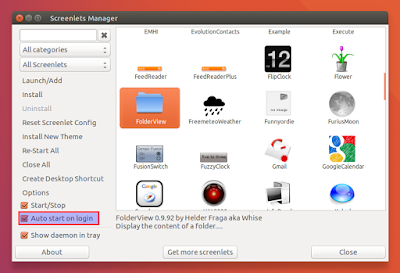 Note that Screenlets requires an X11-based composite manager, so for instance if you run Lubuntu, you'll need something like Xcompmgr or Compton, or else the widgets won't show up on your desktop. Using Screenlets is fairly easy: launch Screenlets, select the screenlet you want to add to the desktop and check the "Start / Stop" option on the left to start it (you can also double click the screenlet). thanks to Hrotkó Gábor for the tip!